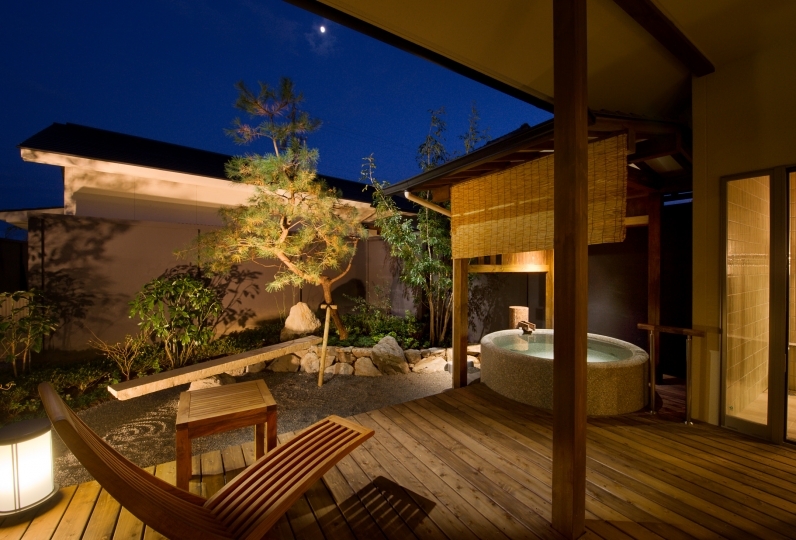 "Tsuki no Usagi" is a deluxe inn limited to 8 villas, each carrying it's own roten-style bath with a spectacular view. We have been introduced on TV shows many time and celebrities have also stayed with us. 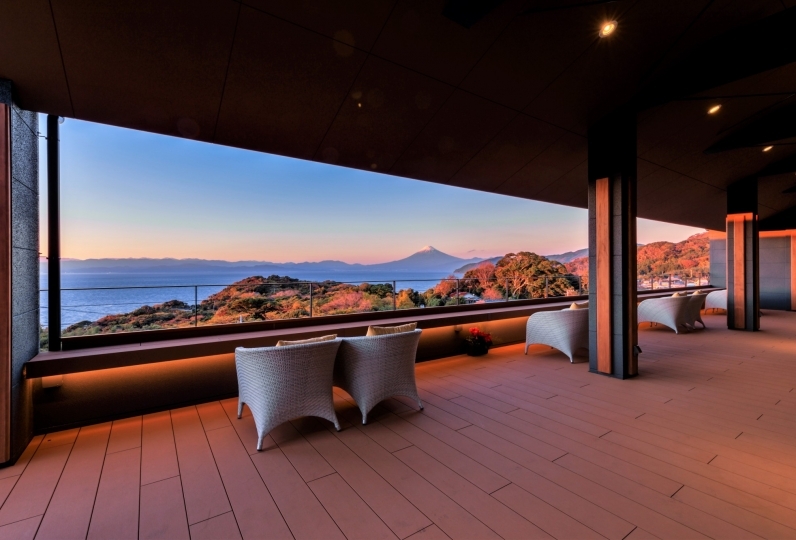 Our old Japanese-style villa is strictly private, offering the best view in Izu looking over the Izu Oshima Island across the vast ocean. 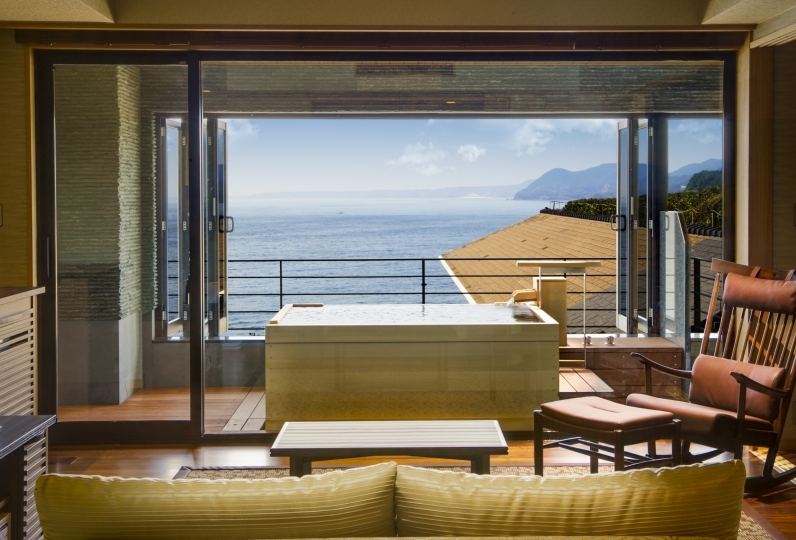 All of our villas are truly exquisite, built with a green garden facing the ocean and a large roten-style bath with spectacular view. 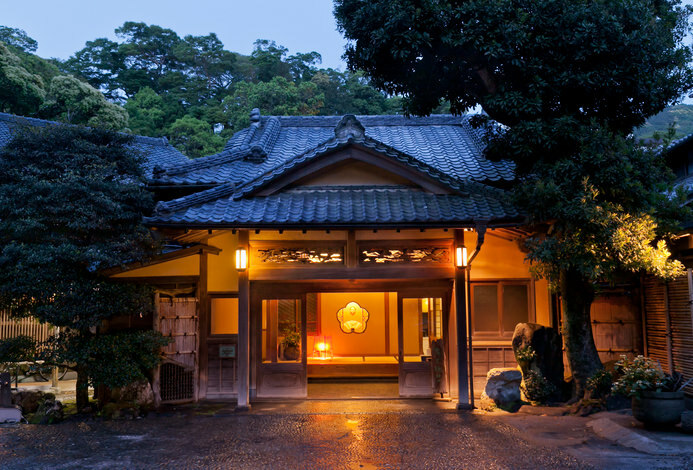 For dinner we offer a creative Kaiseki-style cuisine using Izu's best ingredients of the season at our refining restaurant with a view of the bamboo forest. The natural taste of fresh ingredients, the beautiful decoration, and the thoughts put into when served, these are a few points our dishes are favored. 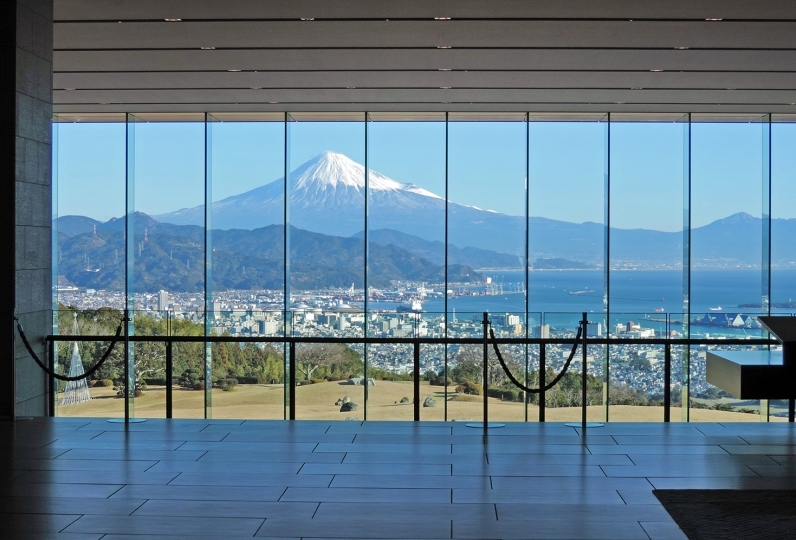 Please come and enjoy the top 4 luxury food of Izu: lobsters, abalones, red snappers, and Fujiyama Wagyū from Shizuoka along with the fresh local seafood and vegetables. 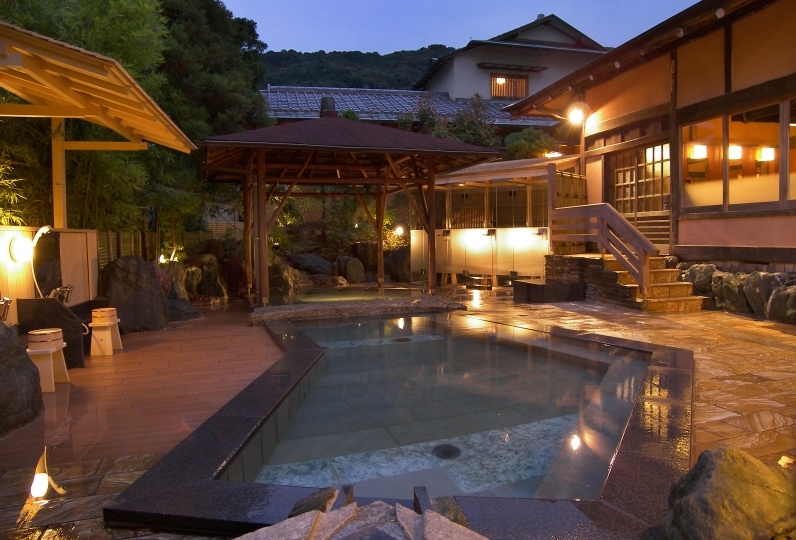 I was very touched by &quot;Tsuki no Usagi&quot;&#039;s superb hospitality and great facilities they have. 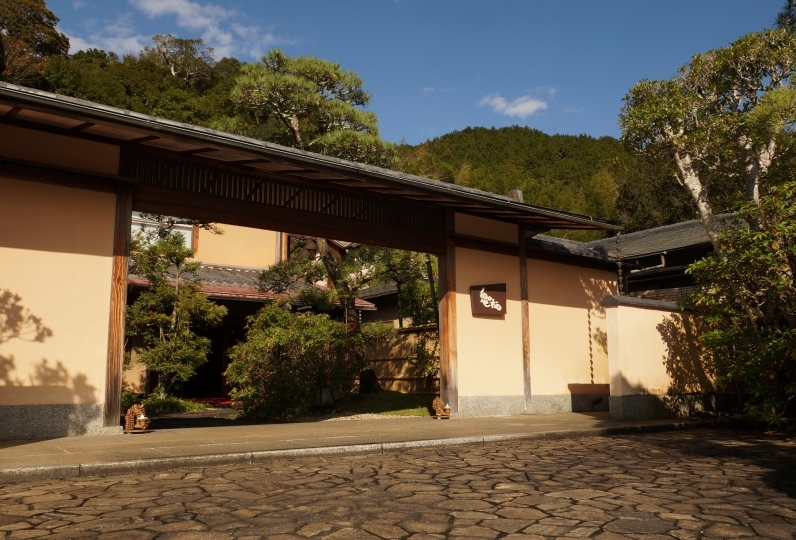 ... Read more I was very touched by &quot;Tsuki no Usagi&quot;&#039;s superb hospitality and great facilities they have. Before visiting &quot;Tsuki no Usagi&quot;, I left a message saying that I was going to stay here for my wedding anniversary. Upon my arrival at the room, a hand-written welcoming card greeted me in the room. Also, there was a special decoration for my wedding anniversary at the dinner time as well. 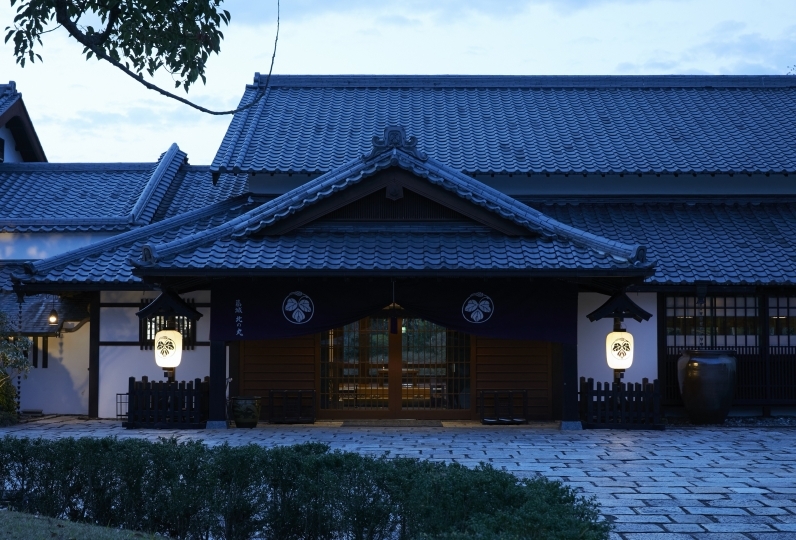 I was very touched by "Tsuki no Usagi"'s superb hospitality and great facilities they have. Before visiting "Tsuki no Usagi", I left a message saying that I was going to stay here for my wedding anniversary. Upon my arrival at the room, a hand-written welcoming card greeted me in the room. Also, there was a special decoration for my wedding anniversary at the dinner time as well. Once I stayed at the hotel I want to stay and say frankly it was good to stay. 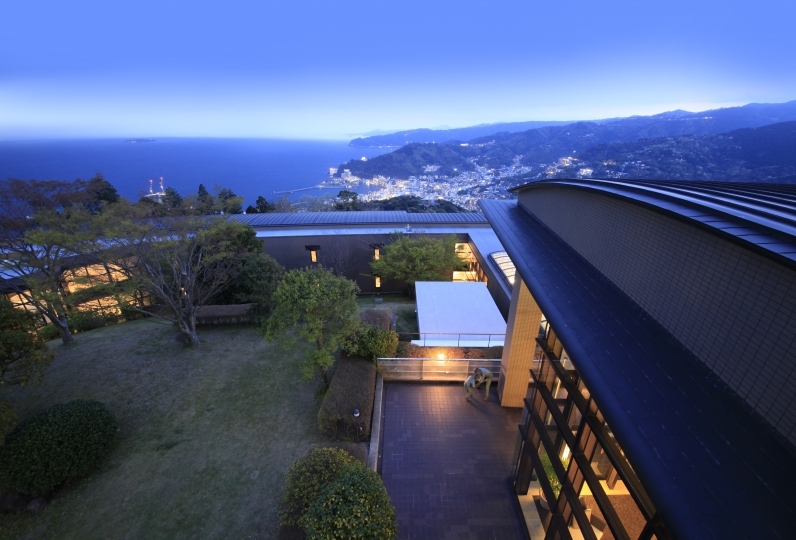 We have a wonderful view of the open-air bath and Izu facilities every month, but look from above. The view from the bottom seen from the ground floor was great. For the first time Izu Oshima was clearly visible and I was moved. The dinner was also a fancy Ise shrimp sashimi, simmered with kinmeito, a steak, getting tired, the first taste of the moon rabbit to taste, it was the best sashimi, onigawa grill, lava grill, and so on. Pick-up-reception Male staff are excellent. I was relieved as I was squeezed for the first phone call. It was disappointing that one of the service clerks who made the customer service normal and the unfriendly correspondence at the time of checkout, and the correspondence of women. However, I had a very good spa trip. Thank you. It was my second stay but this time it was a wonderful stay. The hospitality and the room are also very satisfied. I would like to ask again. Thank you very much. The dining area is located on the first floor of the main house, replacing the old private house. 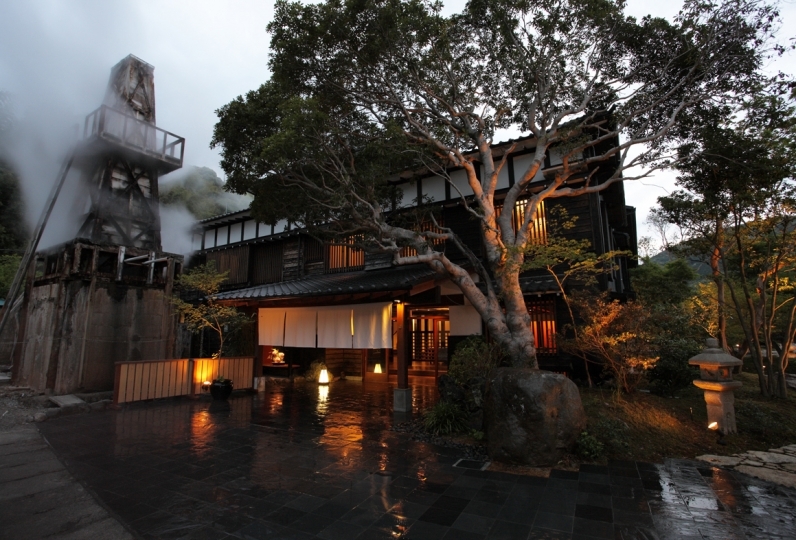 Enjoy dining while gazing at the lit up bamboo forest. 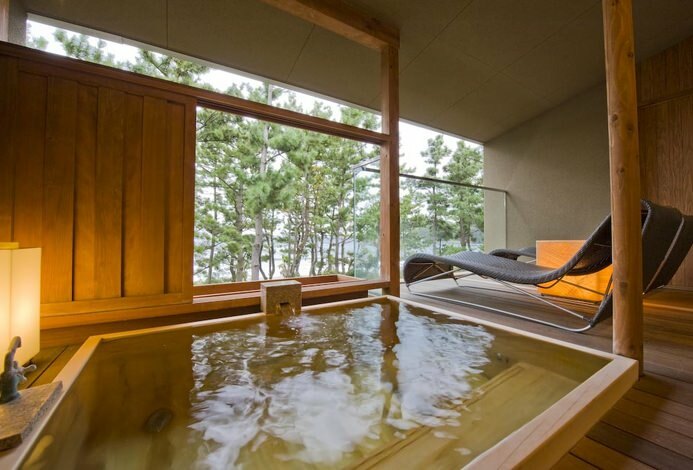 A large roten-style outdoor spa for 5-6 adults equipped in each room. 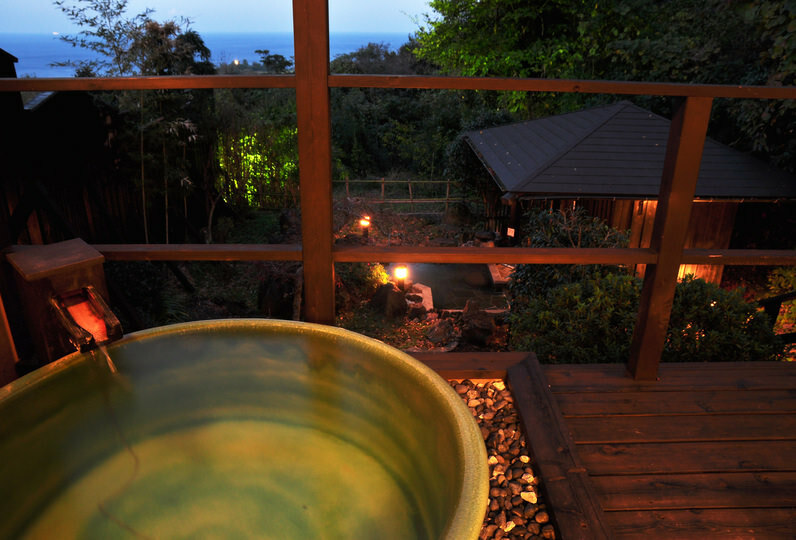 Please experience the luxurious bath time with the great panoramic view over the ocean and Izu Ōshima all for yourself. If you wish for a more special experience we offer champagne and fruits (additional charge) to accompany your bath time. A free concert by the professional saxophone player Mr. Jimmy Nakayama. 1 hour show from 8:45PM-9:45PM. Please ask the hotel for a detailed schedule.